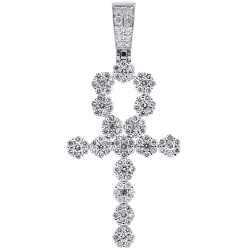 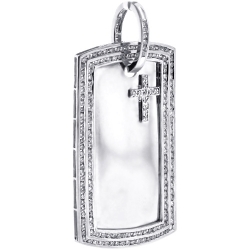 Mens Invisible Set Princess Diamond Cross Pendant 14K White Gold 2"
This men's cross pendant is a truly spectacular presentation of traditional religious motif! 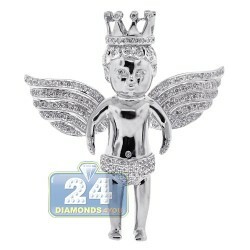 It's masterly manufactured from cool 14 karat white gold with highly polished very shiny finish. 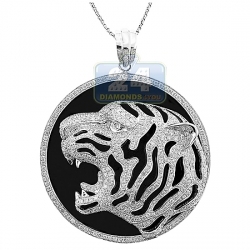 The piece is invisible-set with lustrous white princess and round brilliant-cut real diamonds weighting 2.50 carats (SI1-SI2 clarity, G-H color). 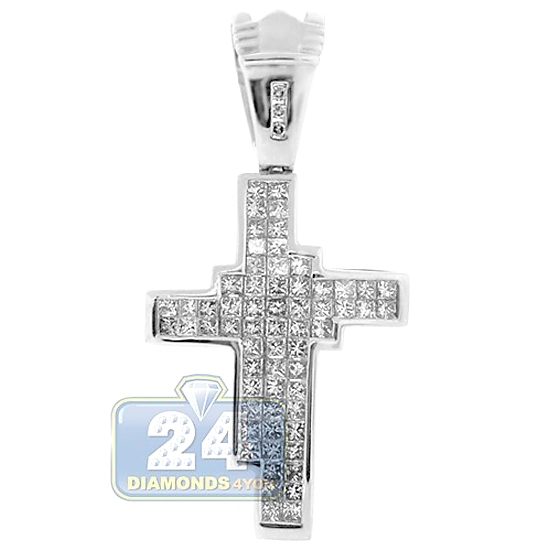 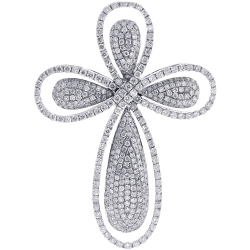 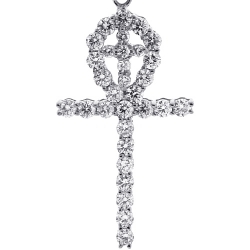 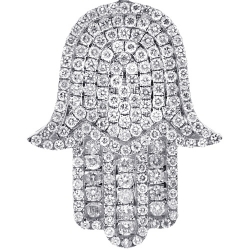 Our diamond religious pendant has total length of 51 mm (without bail 34 mm) and width of 25 mm. 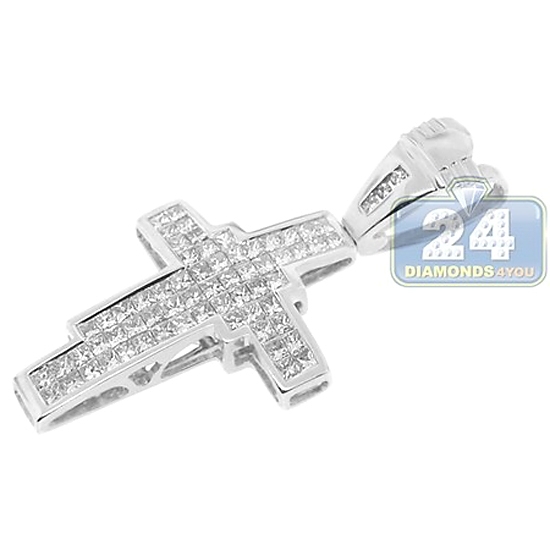 A handsome bright symbol of hope and faith!